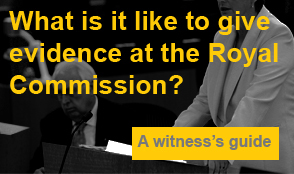 Thank you for your requesting to download the Guide to Giving Evidence at the Royal Commission in to Institutional Responses to Child Sexual Abuse. You will receive an email with a link to download the guide. If you haven’t received an email please check your spam folder.